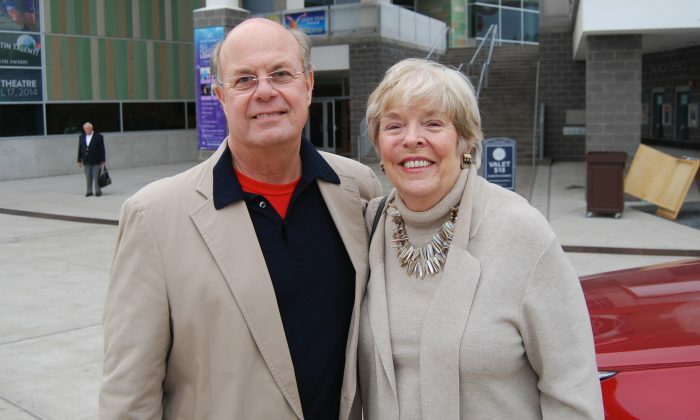 AUSTIN, Texas—Conrad and Linda Vernon saw Shen Yun Performing Arts for the first time and said it was outstanding on their way out of The Long Center for the Performing Arts in Austin, Dec. 29. “The colors, and the costumes, and the dance were all very heartwarming,” said Mr. Vernon, a private consultant for the healthcare industry and vice president at Corazon. Mr. and Mrs. Vernon also own Lake LBJ Partners, where they are involved with waterfront sales, real estate development, and vacation rentals in Lake LBJ, Texas. “We enjoyed it very much,” Mrs. Vernon said. It was an eye-opening experience for the couple, and their first encounter with traditional Chinese culture. “I loved seeing the history, because there was a lot that I didn’t realize,” she added. New York-based Shen Yun revives 5,000 years of a divinely inspired culture through the performing arts, and the mission resonated with the couple. Mrs. Vernon agreed and said she saw that aspect in the lyrics of Shen Yun’s solo vocalists as well. Though the original compositions were in Chinese, they were sung in the bel canto style with translated lyrics projected onto the digital backdrop. Mr. Vernon agreed that the vocalists were outstanding, and that he was particularly impressed by soprano Pi Ju Huang. “It left me with a feeling of appreciation for the culture, and it left me with a warm feeling that we’re all one world,” Mr. Vernon said. Shen Yun’s depiction of culture and history came with visual splendor as Mr. and Mrs. Vernon were also impressed with Shen Yun’s costumes and use of color, and how the costumes were utilized in the traditional Chinese dance. “I loved the long sleeves and the ability to do what they did,” Mrs. Vernon said.